Have you wondered how to swim faster for months or years without finding a satisfactory answer? If so, you’re lucky. In this article, you will see the six principles of fast swimming and how to swim faster without starting to tire immediately. Nothing Intelligently, not Hardly. For many coaches, swimming fast is the result of increasing the intensity and volume of training, so that the level of general preparation increases. Although the conditioning due to the above is essential, it is not everything regarding swimming faster. Swimming is a very rigorous sport regarding technique. There are only a few privileged swimmers who naturally learn to swim very well technically. By giving them enough time and practice, they will always improve. But most of us have only a vague sense of our efficiency in the water. After all, we are land animals. Because of this, swimming many repetitions over and over again the only thing it does is increase our bad habits, while our technique improves extremely little or absolutely nothing. They can see swimmers who swim poorly and after many years they continue to float the same. Decrease the drag in the water. Increase the propulsion of the water. Stated more clearly, we need to decrease what holds us back and increase what moves us forward. 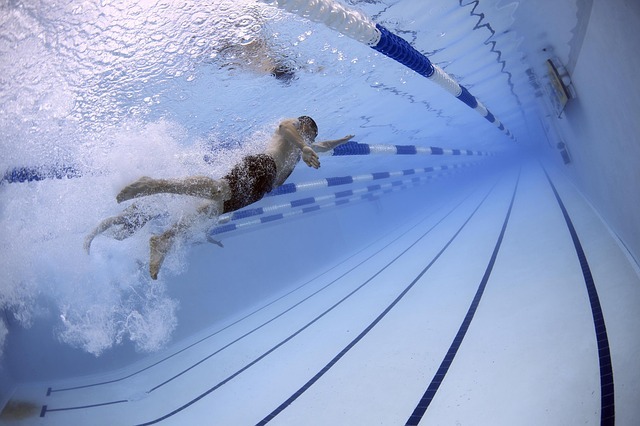 The importance of swimming with the least amount of resistance is often overlooked. However, this is an area in which we can significantly improve water efficiency. Water is much denser than air. The friction in the water increases with the square of the speed at which we swim. So an upper limit will quickly emerge on the amount of force we can apply against water to increase our rate. On the other hand, reducing friction requires skill rather than strength. So there is a lot of room for improvement there. That is why it must be the priority to learn to swim faster. The first and most efficient way to decrease friction is to improve stability. That means that it is about staying as horizontal as possible while moving through the water. By doing this, we put the least amount of water molecules in our path, which results in a massive reduction in friction. As an example, in freestyle swimming, swimmers often raise their head to breathe or look forward. When they do this, they lose balance, and their hips and legs fall by action and reaction, Newton’s third law. Its body is less hydrodynamic, as it has increased the frontal area and generates more friction while moving through the water. Also, you have to kick harder to keep those legs up. A lot of energy is wasted while doing this. Keep in mind that being as horizontal as possible is especially crucial for the freestyle and backstroke. For stroke and butterfly race, things are a bit different because of the body ripple that is used. The next way to decrease friction is to make yourself as long as possible in the water. The theory behind this is that a stretched object moving through water creates less turbulence than a short compact object of equal mass. In fact, this principle has been used by naval engineers for hundreds of years. To swim higher in the freestyle race, insert your arm not far into the water once you have passed your head. Also be sure to thoroughly extend your arm forward by recovering underwater before initiating the gesture down and grasping. The shoulder should touch the ear. And rotate your hips at the hips, swinging on each side in the free and back styles. 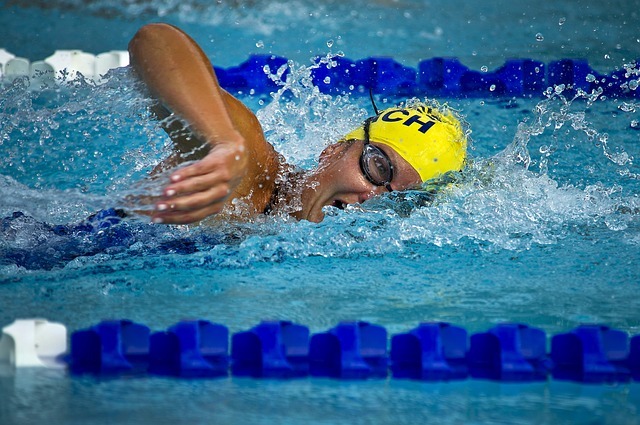 Within the world-class swimmers in the crawl style, the punch contributes up to 10% of the propulsion, while the arm contributes to the rest. Thus efficient kicking is essential for fast swimming, but less than is commonly believed. What is equally important is a short kick, which means that, in addition to not breaking the surface of the water, nor moving too low below the line of flotation of your body. Otherwise, unnecessary friction is created that will only slow you down. All the above, although you have not influenced the propulsion, will make you swim faster with the same effort as before. Once the friction is reduced to the minimum, you can work on improving the propulsion. Again, this is done primarily by improving the mechanics of swimming strokes, not by building larger muscles. The first way to improve propulsion is to roll more from side to side with each stroke. Moving more on your hands allows you to enhance the participation of the large muscles of the back, in addition to the shoulder muscles. However, floating on the side is counterintuitive at first and requires a bit of practice to get used. In fact, swimming free and back is continuously changing from one side to another. Another secret of how to swim faster. It should involve the broad back, the hip, and the torso muscles while rotating from side to side. The synergy between the core muscles and the arm muscles allows you to apply more strength to your swimming career. It’s a bit like a baseball pitcher when he throws the ball: first, his body rotates backward, then his hips start a forward rotation that is channeled through his upper body at the shoulder, the arm, the hand and, finally, in the ball, with an acceleration in each step. 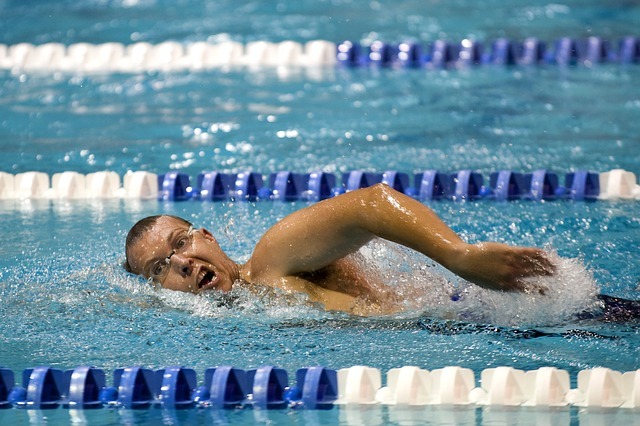 Once you have integrated this technique, you will be able to swim longer and faster and with less speed of the tires, since your core muscles have more resistance than those of the shoulders and arms. It is the last piece of the puzzle about how to swim faster and with less effort. Before applying propulsion force in the water with your gun, you need to make sure that your hand and forearm are aligned and looking back. Then you can efficiently move the arm backward like the big shovel. The swimming technique is often called the “high elbow catch“ in the freestyle race because it is necessary to keep the elbow above the hand to be able to do this successfully. Aspects how to Swim Faster, which seem leisurely, are not at all. It is much, much easier to train hard than to improve our technique. But it is much, much more productive to promote it than to prepare hard. Although training is necessary, focusing on Six Principles of Quick Swimming will increase your speed and your performance as a swimmer. Tags: How to Swim Faster?